It’s straight up cold outside. Instead of stocking up on fast fashion sweaters from questionable sources, cozy up in luxurious knitwear that’s made thoughtfully with craftsmanship, tradition and people in mind. 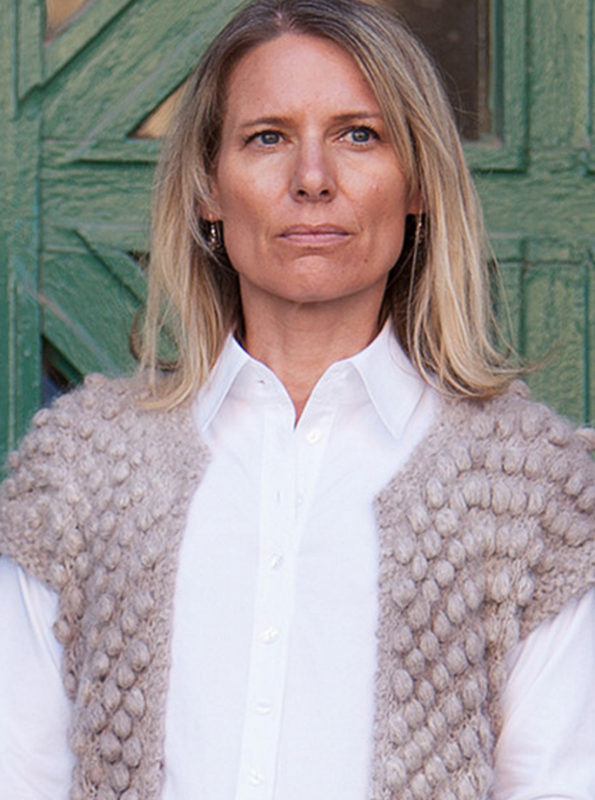 San Francisco-based luxury fashion brand, Callina, delivers on all three; providing well made, timeless sweaters, cardigans and scarves that support the families of nomadic shepherds and skilled artisans in remote communities of Peru. The company honors cultural preservation with respect to the heritage and skill that hand knitters and weavers of the region have acquired from their ancestors. Embedded in each garment are the stories of the people who knit or wove them. With ethical sourcing and integrity at its core, Callina maintains close relationships with its partners and makers. Remake caught up with Michelle Sheppard, the brand’s founder, to learn more about her journey into fair fashion and her mission to preserve Peruvian culture. After graduating from Rhode Island School of Design, I started working at Design Within Reach (DWR), where I designed, collaborated, traveled and sourced from textile mills around the world. With my design sensibility and creative approach, I saw first-hand that there was a gap in the market for sustainable textile/fashion design methods with social responsibility. When starting Callina, I wanted to find a yarn producer with sustainable missions and methods in place. Plus, I wanted to give back to the communities in which I collaborated. So I travelled to Peru, knowing it was a country rich in artistry and having one of the longest histories of textile production in the world. Callina is a culmination of my passions – design, social initiatives, and sustainable growth. We believe that modern fashion design is not only designing unique styles but from concept to creation of a garment, we know where our yarns are from, who makes them and how the products are made. We’ve visited the Peruvian ranch where we’ve seen how the Alpacas live, we’ve met with the children of the Alpaca ranchers at their own school and donated to their school. We value how products are manufactured and visit all our facilities. We care about the how the yarns are dyed and they all are certified oeko-tex standard dyes – so no harmful chemicals. We have visited our artisans to see where they work and understand the wage they receive. We know each piece they create is helping to support themselves and their families. How do you invest in the lives of the people who make your clothes? Our Fall 2016 collection was designed to be 100% handmade in Peru. We started production of our fall collection early so the women makers could buy books and school supplies for their kids. As we grow so does the artisan community who creates our products. Do your research! There is a lot of information out there on the internet. You can go to a brand’s website and look at their about section, or follow organizations (like Remake) to see what people are saying about brands and who are the brands you can trust.